I am writing about the tragic cyclone in Myanmar (formerly Burma) earlier this week. Many thousands are dead and millions are homeless and hungry. Myanmar has a population of 53 million and is ruled by military dictatorship. Aung San Suu Kyi was elected leader 18 years ago winning 80% of the vote but has been in prison or under house arrest for most of that time. In a recent pro-democracy demonstration led by monks 31 people were killed by the junta. 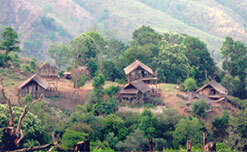 Myanmar is one of the world’s poorest nations despite huge reserves of natural and human resource. Its only successful export is illegal – opium and teak. The average income in Myanmar is $24 a month! We have significant partners in Myanmar who are in touch through their networks with millions of Christians. So far what I could think about is that to buy rice for the people in Myanmar. I will be busy in visiting the most affected areas especially in Yangon. I plan to do it for three weeks when I get home. What I will do is to request various churches and individual friends to donate rice and others such as potatoes, onions, garlics and other basic food to provide for the most needy people. May I humbly request you to get involved with me in this special project. Another partner who I will call Brother R is said to have planted 128 churches, runs a church of 1000 people and a Bible school. He is 75 years old and for the past 30 years has produced two weekly radio programmes that are beamed from FEBC Philippines into Myanmar. It is believed millions of Burmese have become Christians through these programmes. These people are our brothers and sisters and right now need our help. As of April 1st this year your gift will be totally tax deductible as Bright Hope has ‘Listed Status’. On behalf of our partners in Myanmar I’d like to thank you for your partnership in this crisis. Please see the latest Report (June 2009) to see how your funds are being used to help the people in need due to the cyclone crisis.